Hikariko-Themed Illustration Contest COSPACE & MediBang!｜Contest - MediBang! Second Contest! Let’s gather everyone’s creations together and get even more excited about “To Those Who Don’t Know Anything About the Universe”! This time we are looking for illustrations of Hikariko done with a theme and based on the “Hikariko chosen by God” from the first contest. MediBang will host the contest on their website in Japanese and English while COSPACE will co-host the contest on their website in Chinese. 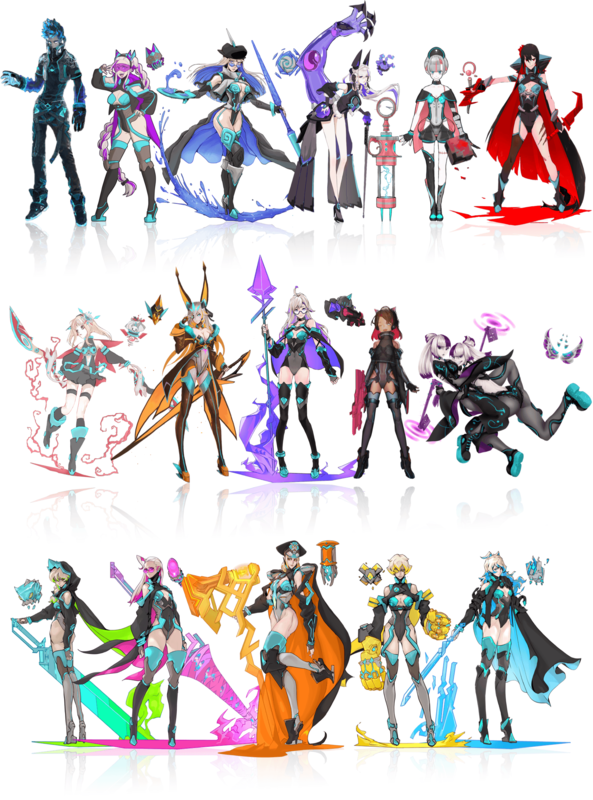 We are holding this contest to gather new illustrations. The winning designs will be included in an official World-view Set Collection! And on top of that, the designs may appear in a new manga or anime project that's in the works?! We want to see character design ideas that you’ve put your heart and soul into! Submit as much as you like! 2. Add optional characters. There are 51 characters in total. 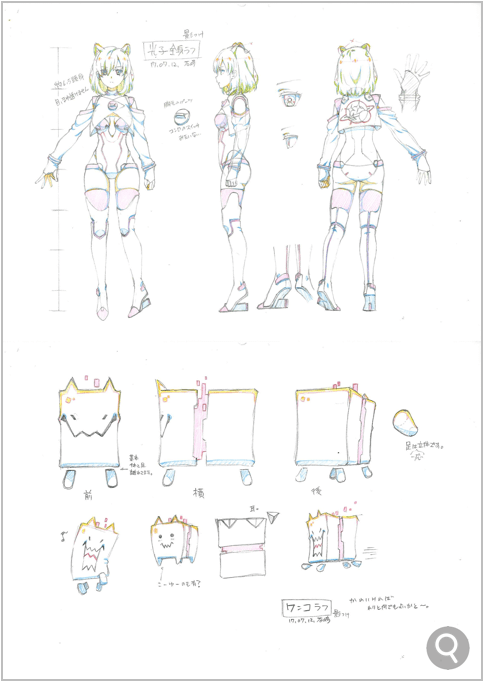 Please take a look at the Character Design Document to view all the characters. 3. Choose one of the themes below. A battle scene where Hikariko fight with Black Energy Robots and/or Moneta. Scenes other than battle scenes. For example, a scene where the Hikariko is living their life on the spaceship, in Sya Castle (a city), or on a planet (imagine forests, volcanoes, and such however you like). (1) Please make sure to submit colored, high-quality drawings. (2) Please enter the title of the work in the format below. (4) Please make sure to include at least 1 of the 16 "Hikariko chosen by God" characters from rule 1 in your illustration. (5) There’s no problem if you include the “optional characters” from rule 2 in your illustration with condition (4). (6) You do not have to draw the character’s whole body when you create your illustration if you convey that you are drawing a Hikariko. 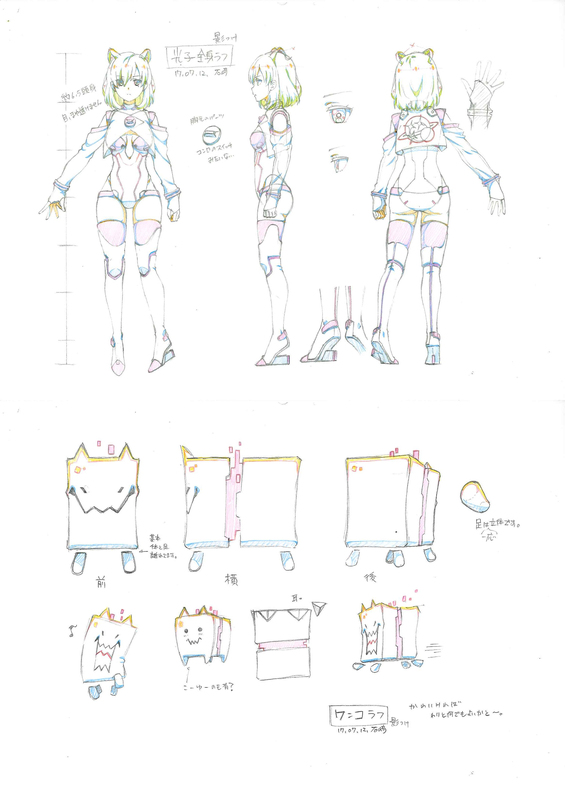 (7) Please make sure to take a look at the Character Design Document when you draw the "Hikariko chosen by God". In our vast and unknown universe, there are pure energy life forms called "Trainers". Their species has existed for a very long time and they have become immortal with their extremely vast amount of knowledge. The Trainer's civilization is highly developed and it is their mission to continue their existence in space. However, the energy necessary to continue existing in space is being lost. In order to compensate for the lost energy, Trainers take their robot “Hikariko” and go all over the universe. They transform feelings that are produced by intelligent life, such as happiness, love, bravery, and pride into energy. Trainers gather large amounts of it on the planet that they are on to continue replenishing the energy so that the universe does not disappear. But, the process of consuming energy means that sometimes they may be forced to battle with mighty enemies on their very dangerous journey. For that reason, Trainers, who have a duty to leave their planet and gather energy, travel with a Hikariko. Trainer’s can infuse part of their own energy into Hikariko’s core so that Hikariko forms a body. The Trainer can also connect the body to 4D space to give Hikariko weapons and all sorts of items. COSPACE (share space) mainly supports creators in China, but it also supports those around the world in order to enhance their creative skills. COSPACE wants more people to know about its platform as it provides a space for creators to display their work and various opportunities for development. Furthermore, creators also share their own creative process on the website which promotes communication and the improvement of creative skills. COSPACE thinks that this does not just support the promotion of communication between excellent creators within China, but that the loop also extends to other creators throughout the world. COSPACE wants to create a bridge so that people can share their thoughts about creation, art, and information with one another. He is a Japanese manga artist, illustrator, and character designer. 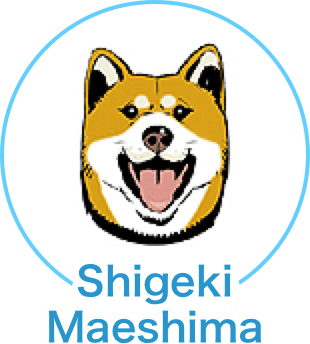 Shigeki has been doing his own thing ever since he left the game company that he used to work at. ・Color Comic "DRAGON FLY Vol. 1 and 2"
・Nintento App "Fire Emblem Heroes" Second Division Character Design, Main Illustration, and more. 5. Enter the Title (Character's Name)*, Desc, and add the 2ndHikarikoContest tag. ※ Please enter the title of the work in the format below. ・The illustration must include at least 1 of the 16 "Hikariko chosen by God" characters. ・Anyone can enter the contest, regardless of whether they are a pro or just draw as a hobby. ・Entrants may enter as a team. ・Only primary works that entrants own all the rights to distribute for free and unpublished works may be entered. ・Plagiarism, or any double (duplicate) works which have been submitted to another contest outside MediBang, will not be accepted. The submitted works will be translated into Japanese for the judging process. Please note that submitted works cannot be edited or deleted after the entry period is over, however tags (not including the contest tag) can still be added. Third contest is in the works!